Nevales Networks, an innovator in delivering comprehensive and affordable cloud-based managed security services on a 'Pay as You Use' model, is leveraging the popular MIPS architecture in new energy-efficient, cost-effective and high-performance plug-and-play ready security gateway devices. Nevales is announcing a cloud managed Security Gateway (SG) device that is the size of a smartphone, unlike any other gateway device in the market. The Nevales SG device supports wired and wireless 3G/4G technologies. It is ideal for operators, who can now provide wireless Internet 3G/4G through this security gateway. The new device is built on the energy efficiency of the MIPS architecture from Imagination Technologies, which helps to increase the energy efficiency of the device by up to 90% over Nevales' previous generation product. The new high-performance, environment-friendly SG device has a sleek form factor and smart design, and can be easily wall mounted for large scale carrier deployments. Nevales' cloud-based system architecture allows organizations to manage its plug-and-play ready security gateway devices remotely, making the devices ideal for branch office and remote location deployments. The SG devices can be centrally managed using the Nevales web interface across any number of distributed locations. Nevales allows for automatically administering policies, configurations, updates and upgrades from the cloud - enabling branch deployments without the need for on-site IT. Nevales ensures secure remote access of the centrally-hosted web applications to all branch offices and mobile users to perform day-to-day operations in a safe and protected environment. Nevales was recently selected as a finalist in TiE50 Awards 2013, an award program by TiE Silicon Valley that recognizes the world's most enterprising technology startups. Mr Kaushik Thakkar, Co-Founder and CEO at Nevales Networks said, "We believe that the new security gateway device underscores Nevales' leadership in delivering innovative security solutions for the future. Through our partnership with Imagination, we saw an opportunity to combine our product design and engineering expertise with power-efficient MIPS-based technology to create an innovative solution that enables carriers to manage large scale deployments. Moreover, Nevales is further taking a step to promote green tech and development of energy-efficient solutions." "Our widely deployed MIPS processors are increasingly being adopted across an ever broader range of consumer, small business and enterprise networking solutions. All of these applications demand not only high performance, but also exceptional low power characteristics. We're delighted to have worked closely with Nevales on their unique low-power ultra-small form factor SG platform, which takes full advantage of MIPS' high performance per mW credentials," said Mr Amit Rohatgi, Vice President- Segment Marketing at Imagination Technologies. The product will be available in the market by end of the quarter. Nevales Networks offers businesses a secure environment to conduct their business on a 'Pay As You Use' model. 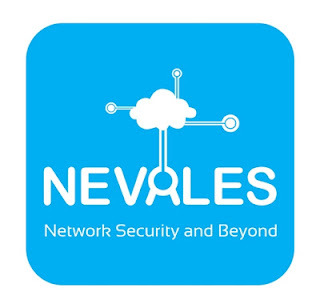 Nevales Networks manages security, connectivity and enables cloud applications for businesses with multiple branch offices and remote locations. Nevales cloud-based managed security platform is a combination of an 'On premise Security Gateway device' and 'Cloud Services'. The Nevales Security Gateway integrates several crucial security features in a single management platform and is available on a subscription model. The SAAS Model of Nevales typically bundles everything into a single subscription fee, which includes comprehensive security features, automatic updates, patches and free technical support. Currently Nevales has customers from across verticals like education, financial services, manufacturing, retail, healthcare, automobile dealerships, hospitality, engineering, IT/IT enabled services to name a few. Nevales was featured as 2013 TiE50 Finalist, one of the Top 50 Emerging Technology firms by Channelworld India, Techcircle's Top 10 emerging Indian SaaS companies to watch out for in 2012 and "Nasscom Emerge 50" company for 2011. For more information, please visit www.nevales.com. "We believe that the new security gateway device underscores Nevales' leadership in delivering innovative security solutions for the future. Through our partnership with Imagination, we saw an opportunity to combine our product design and engineering expertise with power-efficient MIPS-based technology to create an innovative solution that enables carriers to manage large scale deployments. Moreover, Nevales is further taking a step to promote green tech and development of energy-efficient solutions." "Our widely deployed MIPS processors are increasingly being adopted across an ever broader range of consumer, small business and enterprise networking solutions. All of these applications demand not only high performance, but also exceptional low power characteristics. We're delighted to have worked closely with Nevales on their unique low-power ultra-small form factor SG platform, which takes full advantage of MIPS' high performance per mW credentials."